For commercial customers, we offer scheduled route pickup service for white paper. Unfortunately we are no longer able to offer commercial cardboard pickup service but we are still accepting cardboard drop off at our facility located at 409 1st St E. in Williston, ND. 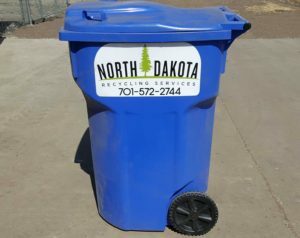 North Dakota Recycling Services will provide convenient white paper recycling bins for route customers.